Jennifer's 365 Project: 2738/365 - Pasta! Pasta is a pretty easy dish to make and simple to put veggies into. He's still real hit and miss about pasta dishes. Some days he likes them and other days he turns his nose up at them. 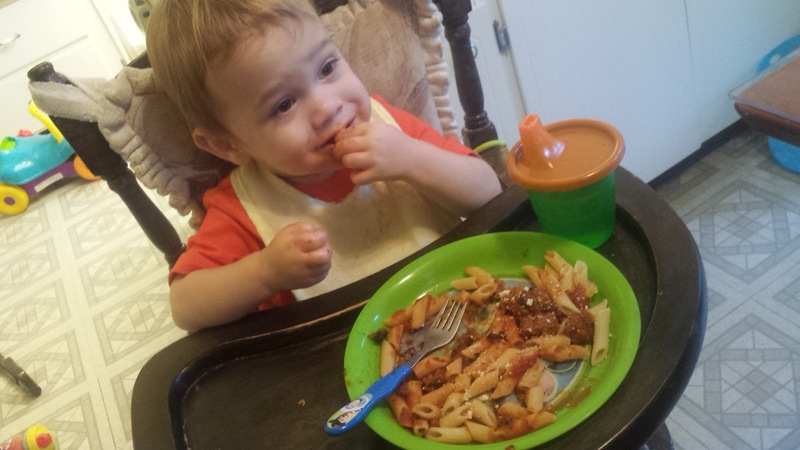 Days when he's willing to eat pasta feel like easier days.